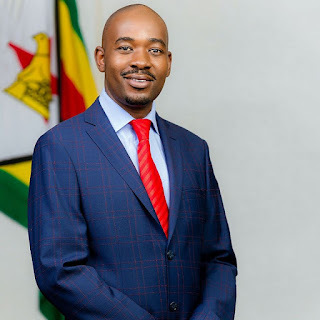 The MDC extends its commendations to the Zimbabwe Defence Forces (ZDF), in celebration of the 2018 edition of the Defence Forces Day. A product of Zimbabwe’s heroic liberation struggle, the ZDF have since 1980 had illustrious moments that have done us proud as a nation. Nationally, these moments have included operations to rescue communities in harm’s way during cyclones and other natural disasters, initiatives to provide medical doctors, build schools, clinics, bridges and other social amenities, especially in marginalised communities across the country. The ZDF have also contributed to peacekeeping missions under the banner of Sadc, African Union and the United Nations. It is a matter of national pride that the ZDF have discharged their responsibilities in these missions with highly regarded discipline and professionalism that is second to none. In great part and thanks to the ZDF’s professional young men and women, our country has by and large remained a beacon of exemplary peace and stability. Our military is one of the finest on the continent, their readiness to make the ultimate sacrifice for our security cannot be overstated. As we acknowledge and celebrate the ZDF’s accomplishments, we must also express the grave concerns that the country now has following deeply worrying developments in the context of our politics. While our professional soldiers continue to work hard to earn their stars, our politicians have conducted themselves in ways that risk tarnishing the good reputation of the ZDF. Since 1980, politicians have tried to exploit our men and women in uniform, reducing them to pawns, to prop up their political ambitions. This abuse weakens our military and arouses public resentment against the gallant sons and daughters who protect our country. This is why, as MDC Alliance, we make the commitment that under our new government this will never happen. The military must be allowed to pursue its constitutional mandate without interference from self-serving political actors. The most successful countries in the world allow their military bases to be the hubs of innovation, ingenuity, human development and progressive societal renewal. It is in this connection that the internet we enjoy today is a product of military innovation. When our men and women are not serving abroad, they must be developing methods and tools to improve the lives of our people. At no point should our military be weakened, balkanized and divided into units under the control of self-serving politicians with warlord mentalities. On 15 November 2017 there was a facade of a change of guard. A new dispensation was promised. Zimbabweans welcomed the intervention and there was dancing in the streets. But the dancing was not to last. The people had been deceived. Those who had preached constitutionalism had done so not out of love for the people but out of love for themselves. They immediately took over power for themselves at the highest levels of government in cabinet, in the presidency and in Zanu PF. On 1 August 2018 a unit of our armed forces were given an unlawful order; armed with live ammunition and bayonets, they confronted protestors and bystanders. At least six unarmed civilians were killed, some shot in the back as they fled. This happened in full view of rolling cameras. Subsequently, there was a well-documented week of intimidation and harassment of people in Harare’s residential areas. It is appalling that, as the country marks Zimbabwe Defence Forces Day, there are grieving families in anguish, whose loved ones are no more, having been gunned down in cold blood by soldiers executing an unlawful directive. The politicians who gave this unlawful August 1 order have not been held to account. This is because impunity reigns in this outgoing government. Impunity has been the defining characteristic of this government. According to the Constitution of Zimbabwe, the function of the Defence Forces is to protect Zimbabwe, its people, its national security and interests and its territorial integrity and to uphold the Constitution. It is a national tragedy that this outgoing government has failed to fulfil this constitutional obligation. Sadly, to many Zimbabweans today, ZDF now appears to be an offensive force due to the mischief of rogue and self-serving political elements who have tarnished an army whose majority members are loyal Zimbabweans who are professional soldiers. It is opportune to use the Defence Forces Day to reflect on this tragedy to get rid of self-serving political elements and to find a lasting solution to get ZDF out of partisan politics and set it to professionally discharge its constitutional obligation to protect Zimbabwe and Zimbabweans. Under our incoming new government the overarching goal of our military will always be to disrupt, dismantle, defeat and prevent anyone from building capacity to threaten Zimbabwe and our allies. Our strategic goal will be to build respect and admiration for our army. We have a three-point plan for our military to be restored to its glory based on handsome remuneration, strategic patriotic reorientation and advanced technological capacitation.